We found 8 episodes of Renaissance Life Show with the tag “lifestyle”. 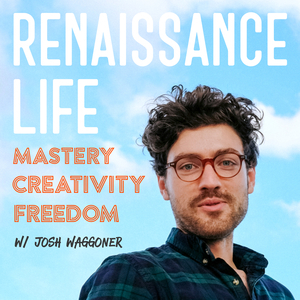 RL003: (Solo Round) How to Become a Renaissance Man / Renaissance Woman today. Support of the RL, and Life Mastery Empire is from you! Become a Patreon @ patreon.com/ohmyjosh. Gain exclusive content and early access, and be a part of the RL tribe. Leave a 5 star Review if you awesome! Not a review, nobody wants that, just tell me a book you've enjoyed recently. It just takes one step to start something brilliant. 'Pressfield' josh 'pressfield', not presserfield you fool.